A HUNT master was arrested along with a saboteur after trouble flared at a meeting in Essex. Douglas Hill, 62, joint master of the Essex Farmers and Union Hunt, was arrested on suspicion of causing actual bodily harm following an incident at the meet at Runsell Green, near Danbury, on Saturday. A 23-year-old anti-hunt supporter was also questioned on suspicion of causing actual bodily harm, although police stressed the two arrests related to separate allegations. Although police were not initially at the hunt, about 20 officers were dispatched when the trouble flared at about 12.20pm. One saboteur was taken to hospital suffering from bruising to her wrist and head after she was allegedly attacked. Saturday’s violence follows the Government’s ban on hunting with hounds which became law last month. 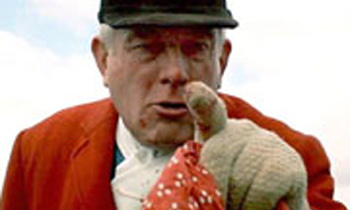 Liz Mort, eastern regional director of the Countryside Alliance, said: “Doug Hill, the joint master of the hunt, was surrounded by saboteurs and two of them tried to pull him off his horse. “The saboteurs were intent on disrupting the day – it appears whether we were hunting or not had nothing to do with it. Colin Bell, of the North and East London Hunt Saboteurs said: “I read that the hunts are blaming the police for not taking care of the situation but the police are in a difficult position. “At the moment it is confusing for everyone – the hunts give the impression they know what they are doing but I do not think that is the case. Essex ambulance service was also called to attend the meet after the saboteur suffered injuries to her wrist. The woman was taken to Broomfield Hospital in Chelmsford for treatment and later released. A spokeswoman for Essex Police said: “We arrested two people at the meet of the Essex Farmers and Union Hunt at Runsell Green, near Danbury. Both the men arrested were bailed until next month while investigations continue.